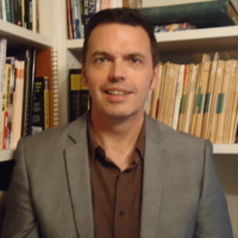 James Bennett is an historian at the University of Newcastle, Australia, who has a range of research and teaching interests with an emphasis on the twentieth century including the de/medicalisation of homosexuality, representations of history through film and television, and the labour movement. His latest book, co-edited with Kate Ariotti, is "Australians and the First World War: Local-Global Connections and Contexts" (Palgrave Macmillan, 2017). He has had a number of articles published in international journals including "Medical History", "Social History of Medicine" and the "Journal of Imperial and Commonwealth History".